‘Artis’ is one of the most hyped product in the market, from beauty guru’s to glam bloggers- everyone seems to have gone ga-ga over it- and Million Dollar question is-Is it truly worth it? Are the extra bucks justified? I was lucky to get my hands on Elite Smoke 5 Brush Set, I have been a religious user and borderline obsessed with the brushes ever since I got them! The set consists of 5 brushes which includes Oval 6 used for foundation, blush and contour application. Oval 4 and Oval3 for eye makeup application and Linear 1 and Circle 1. Artis takes re-invention super seriously! As a brand they are dedicated to bringing out cutting edge tools and techniques pushing the creative and design envelope time and again! 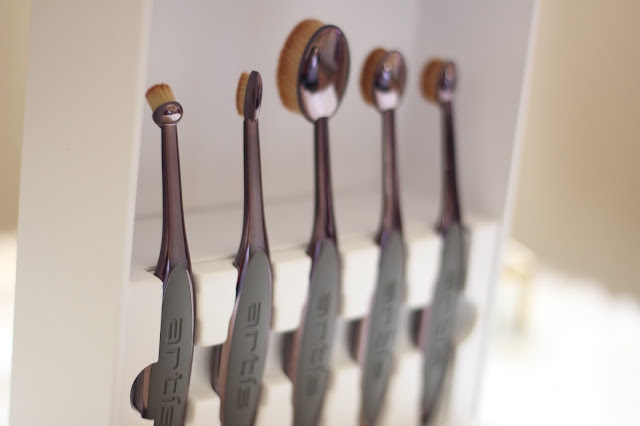 And they take utmost pride in creating ethical and aesthetically glorious brushes. Now the most prominent feature of the brush is the shape itself. The handle of the brush bend a bit whilst you work it on your face making the application process super easy.The design suits multi-purpose and with extremely soft and cushion-y texture, the brushes are super easy on your face! The strong grip and rubberized handle gives it a strong 10/10 on ergonomics! 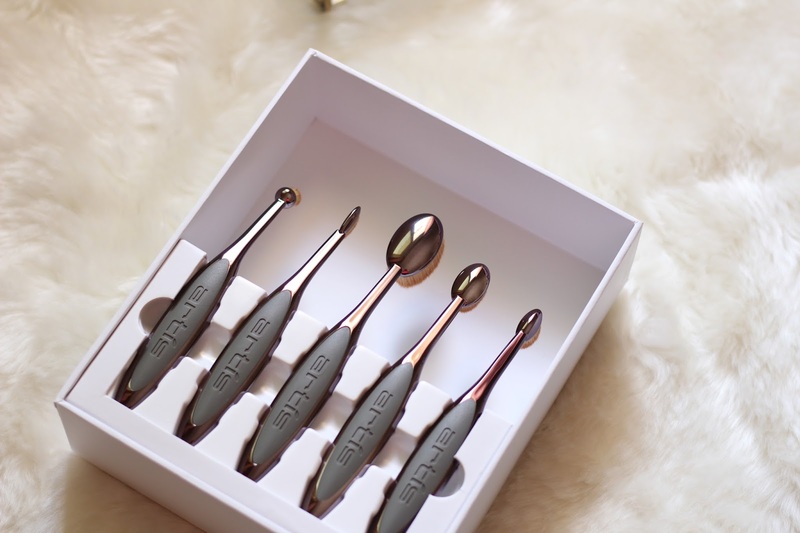 The brushes are made of CosmeFibre hair, an engineered solution by Artis and performs well with powders, emollients and liquids without any degradation. 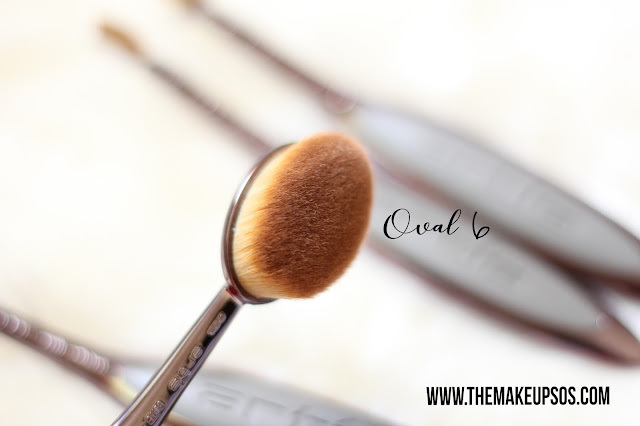 Oval 6— the brand claims its best used to apply foundation/blush/contour application. 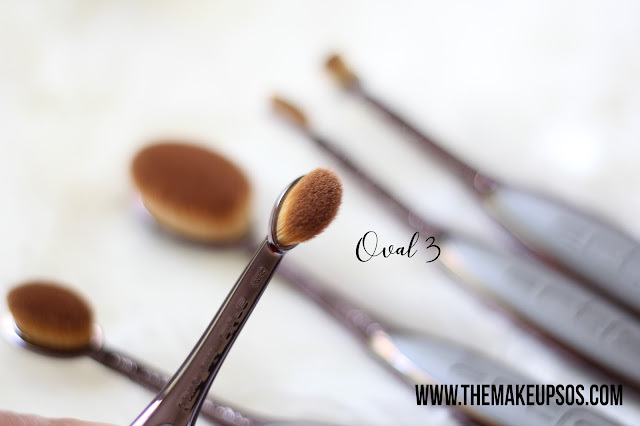 I gave it a try as a foundation brush and I must confess I wasn’t really a fan! 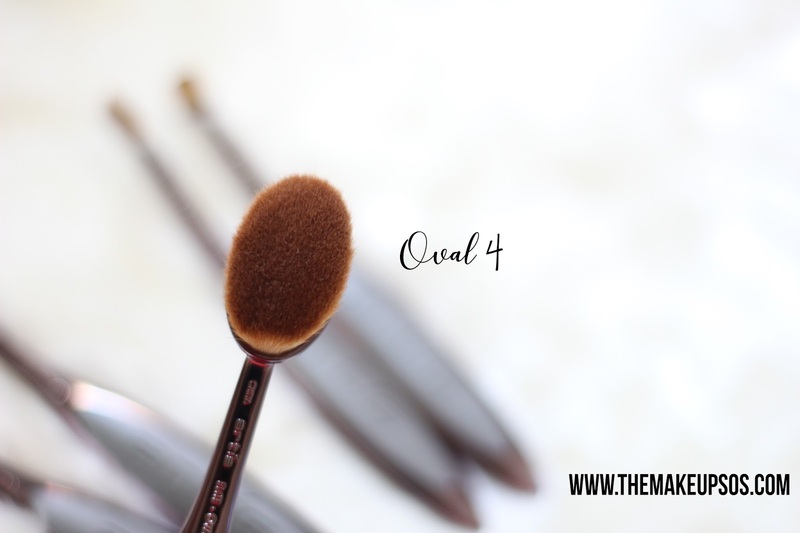 The Oval 7/8 would be a better choice as your foundation brush, as it blends like a dream! Oval 6 is your partner in crime for some contouring action and applying the all-important concealer. Oval 4 is used to apply eyeshadow from upper lash line to the fold in the eyelid. It’s also great for applying concealer to the area under or around the eye and it’s perfect to contour your nose. Oval 3 can be used in blending or shading the products applied to the outside and inner corners of the eyelids. It can be also used to apply the foundation/concealer to the side corner of the eyes or on the side of the nose. I use this brush to apply eyeshadow to the center of my eyes and sometimes to smoke out the corner of my eyes. 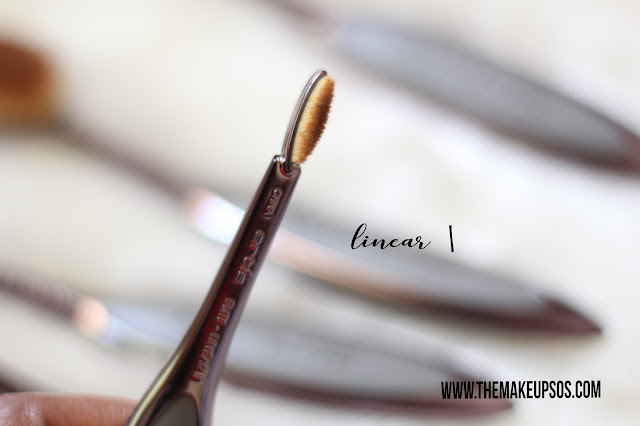 Linear 1 has a narrow row of fibers to help concentrate product application in a line, especially along the lash line and also to apply a defined line along the lips/to clean around the lips. 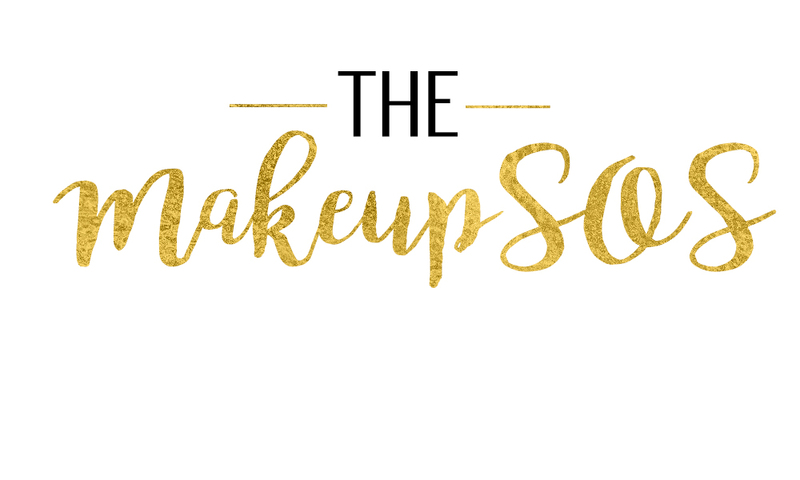 It’s absolutely perfect for the brows for creating a clean,defined line. Circle 1 has a tilt from the handle and a round fibre bundle, which helps to apply lip products across the lip quickly and softly. It can also be used for a more precise edge if desired. It’s certainly versatile – be it to help conceal the spots, to even applying your lipstick- I am pretty hooked onto my Circle1. I have been using the Elite Smoke Set for almost a month now and yes, there was a round of ardent cleaning too! Now hold tight, its super –duper easy to clean these babies!Not a shed of fiber and they retain their shape with utmost perfection compared to the established brands in the market.These take slightly longer to dry out as the brushes are to the denser side. If I were to sum up my Artis experience in one word it would be – LUXE. 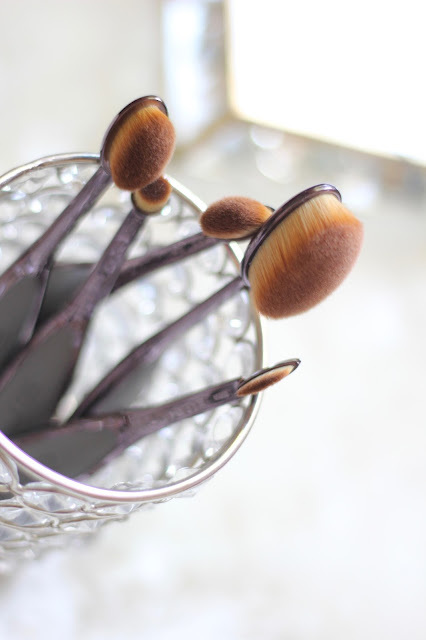 It certainly lives up to being the ‘Rolls Royce’ of all makeup brushes! Now is it a must- have? I would say- not really! With all the good makeup brushes out there at affordable prices and if you are on a tight budget, you can very well do without this one! But if you are all about ‘upping the ante’ – then this brush would be a good addition to the collection. 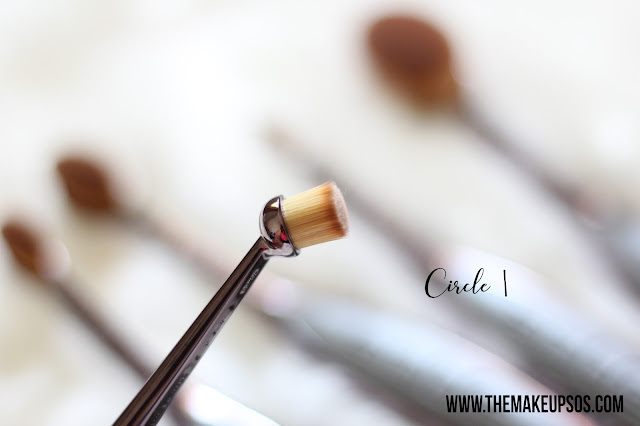 For all the professional MakeupArtists out there, circle1 will certainly help with clean crisp lip looks. Now another big plus about Artis is how little product the brushes sweep up! 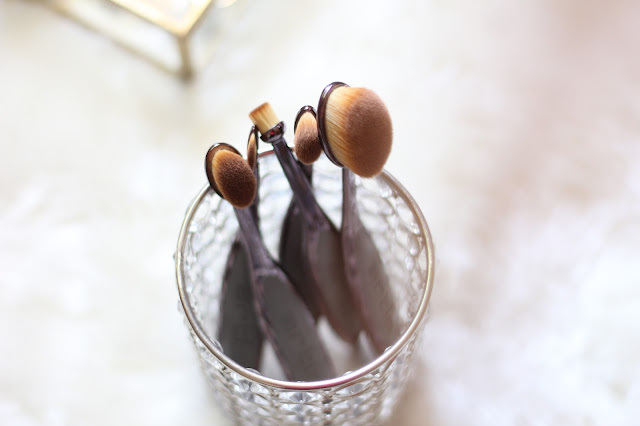 A little certainly goes a long way with these brushes, creating your perfect flawless look. Wishing you a Glorious Weekend!